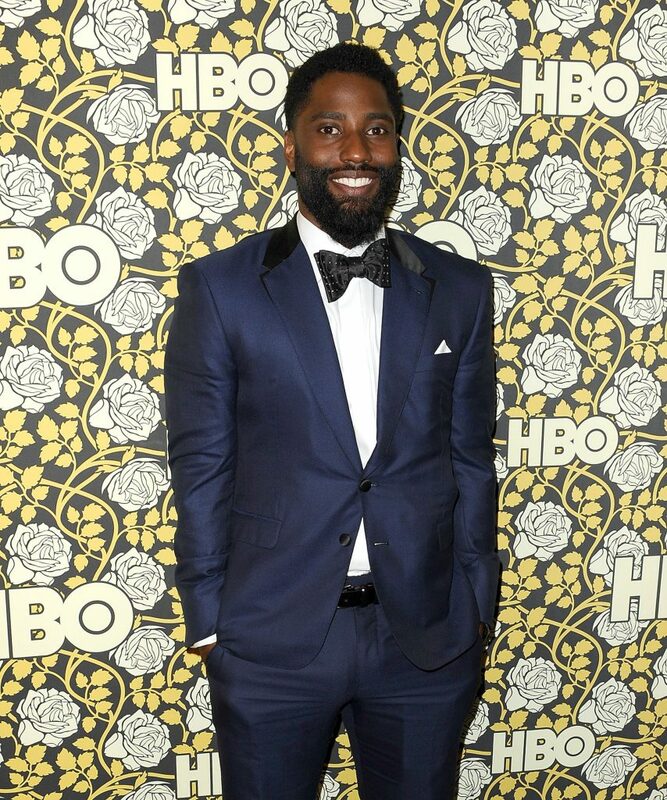 John David Washington is quickly becoming one of the hottest breakout stars of the summer. 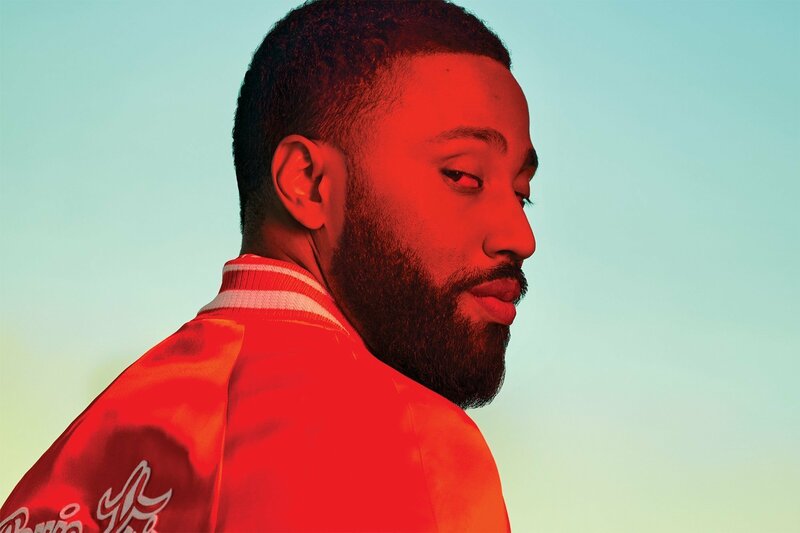 While he previously had notoriety for his part on the HBO show, Ballers, his leading role in BlacKkKlansman has pushed him into the nation’s popular consciousness. The recognition is warranted, his performance is phenomenal and he clearly has a promising career ahead. In both his TV and film credits, it’s become clear that he has an acute sense of style. This week we’re going to check out some of his best moments in fashion. Even before his first big film role JDW was making waves on the hit TV show Ballers. At one of the show’s premieres, he busted out this sweet moment in style. 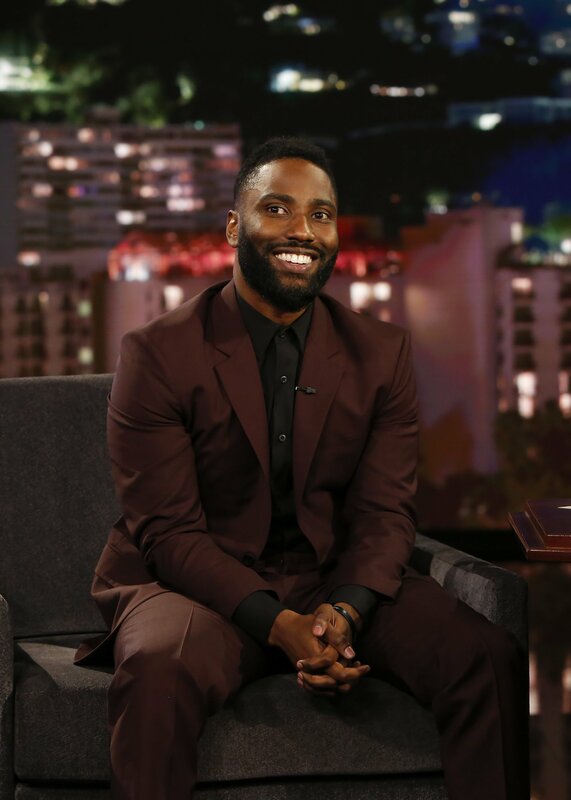 The suit is tailored excellently and the color compliments his skin tone. A well made blue suit will be a trend throughout this article, as JDW knows how to pick some great ones. As illustrated in the image above the suit is clearly well fitted because it allows for dynamic posing outside of the standard ‘stand-and-smile’. At another HBO event, JDW graced us with this tasteful number. The blue used is a little darker than his previous choice, and when accompanied with bow tie and pocket square the class is undeniable. Now also seems like a good time to point out JDW’s fantastic beard game. Well groomed and perfectly proportioned, this beard not only emphasizes his jawline but provides an additional element of sophistication too. 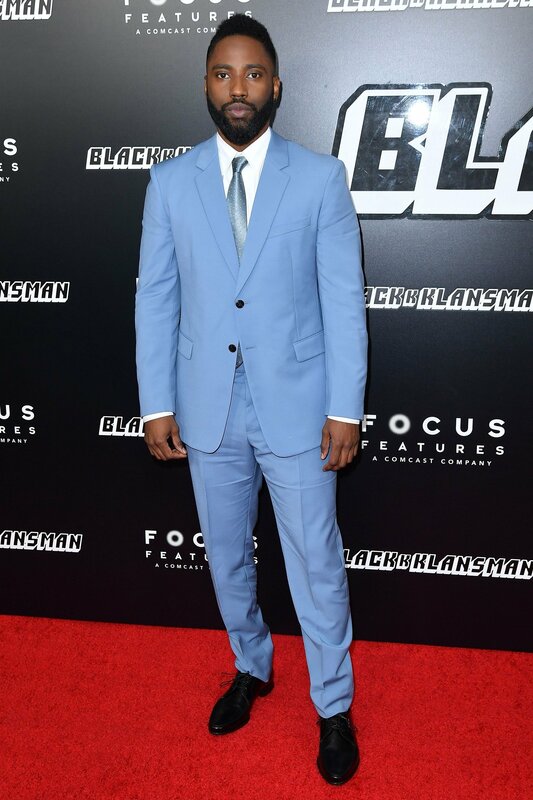 Usually, the powdered blue suit is something we only see in the high school prom of an 80’s movie, but here we see the color brought into the modern age at a BlackKklansman premiere. With a more current cut of the suit and a good fit this suit somehow becomes high fashion. The lighter color goes well with JDW’s skin and makes him stand out when in front of the darker background. Even when guesting on a late night talk show JDW’s style is inescapable. This burgundy red suit looks fantastic while allowing him to sit comfortably. Here we can also see how great his skin is, the blemish-free glow is clear evidence of some great skin care habits. What do you think of John David Washington’s style? Let us know in the comments below or on social media!